So here in the UK it is Bank Holiday weekend which means we’re all off for an extra day tomorrow!! Woop woop! In addition to that, we of course welcomed the Royal Baby Princess which means that some stores have special discounts to celebrate the news. Oasis currently has 20% off instore and online today. Pretty sure it is a 1 day only event so you better be quick if you want to make any savings. I popped into my local store in London looking for a dress suitable for work and ended up coming out with a huge bag filled with goodies for my Summer vacation! Classic Hayley! 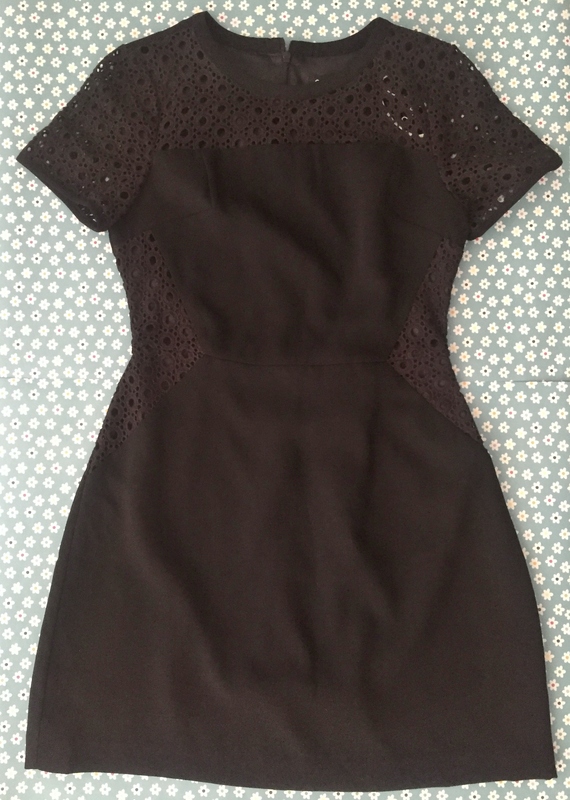 First up I purchased this very cute yet simple black dress for the office. 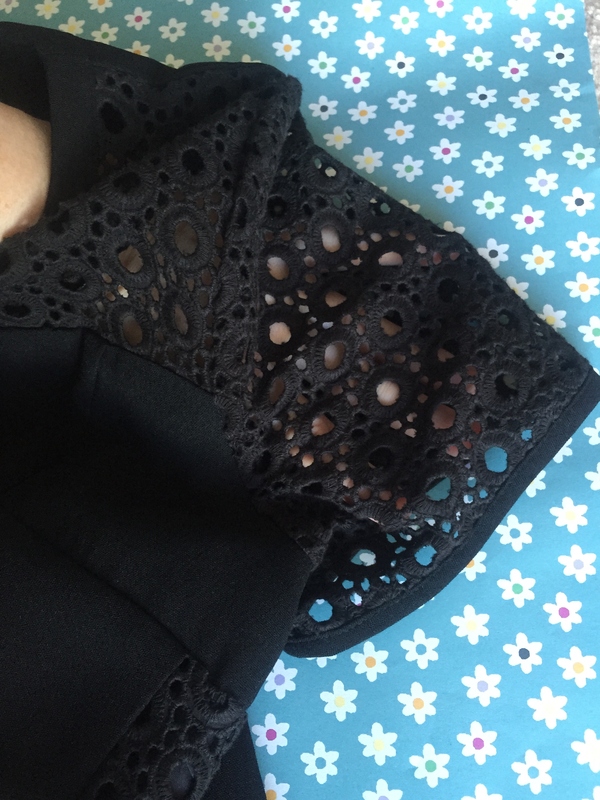 It has a Spring/Summer feel to it with the lace lattice detailing on the top, sleeves and partly on the sides. It’s almost like a crochet detailing where the neck and sleeves are see-through but then the sides, thankfully, are not and have the material behind them. The dress sits above the knees and would look pretty with heels or flats. This was £55. Then I started picking up items for my vacation which is not until September (never to early to plan ahead and just incase these don’t go into sale). 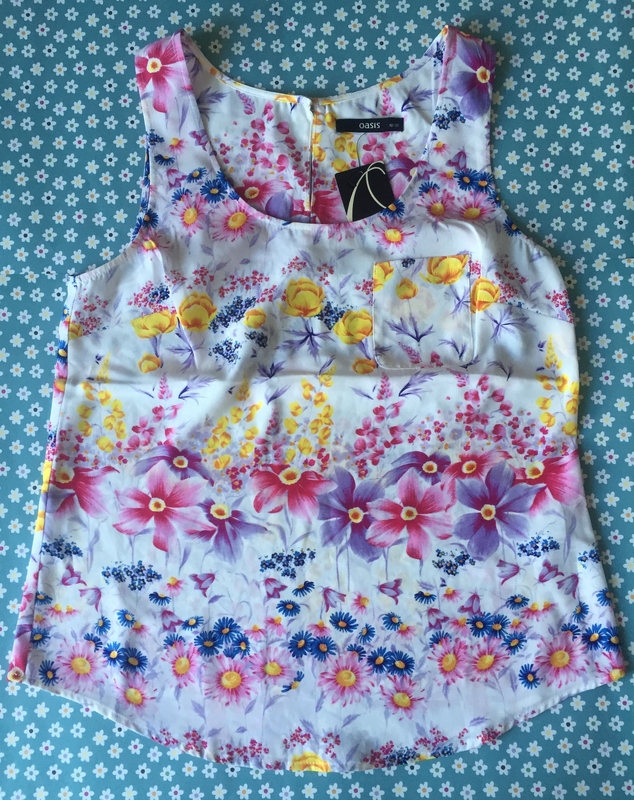 I picked up this light weight shell vest with the most gorgeous floral print. It has a little pocket on the front and fastens at the back with a simple gold button. 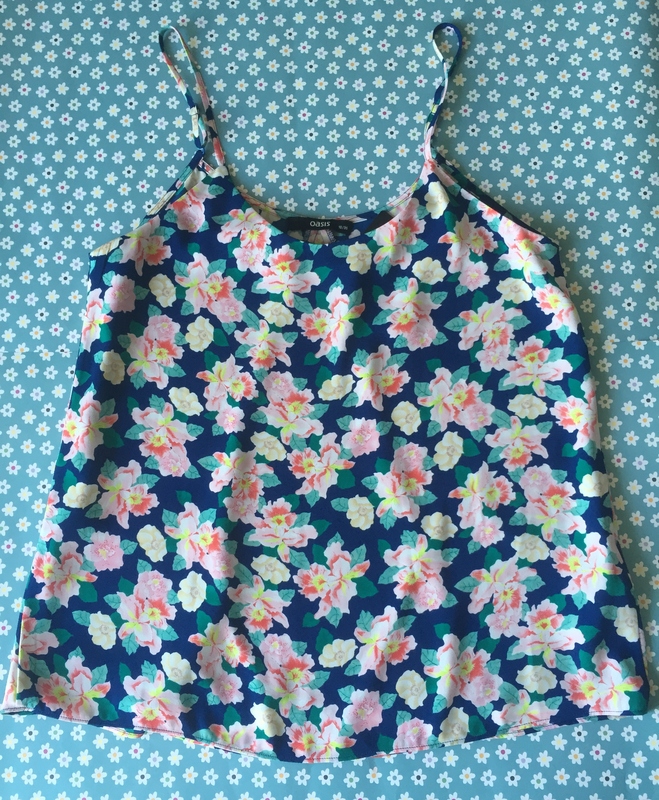 I love these tops and there are so many different varieties of prints. I’m sure I’ll end up buying a lot more! These are awesome wearing with shorts in the daytime and skinny jeans in the evening turning from casual into glam. This was £22. Florals are going to be huge again this season so I picked up this floaty floral vest with a nice navy background. It’s the same shell/polyester fabric however I like the fact that this one has a double layer/lining on the front to ensure maximum cover up. Again I think I’ll team this one up with skinny jeans or leggings and a kimono for the evening. This was £25. I absolutely love this top. It’s simple and sophisticated and can be dressed up or down. 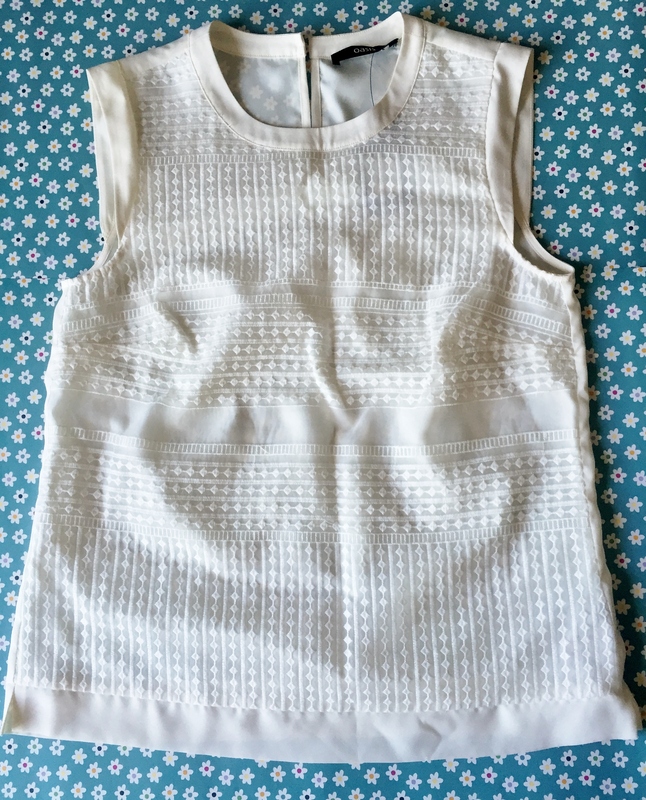 It’s an off white/cream light weight top with an embroidered fabric layover. I’m sure this will be the most hard-working item in my wardrobe this Summer as I’ll be teaming it up with shorts, skirts and jeans. I might actually buy another as it too would be perfect for the office under a blazer. This was £32. You can’t go wrong with simple plain vests as they go with everything! 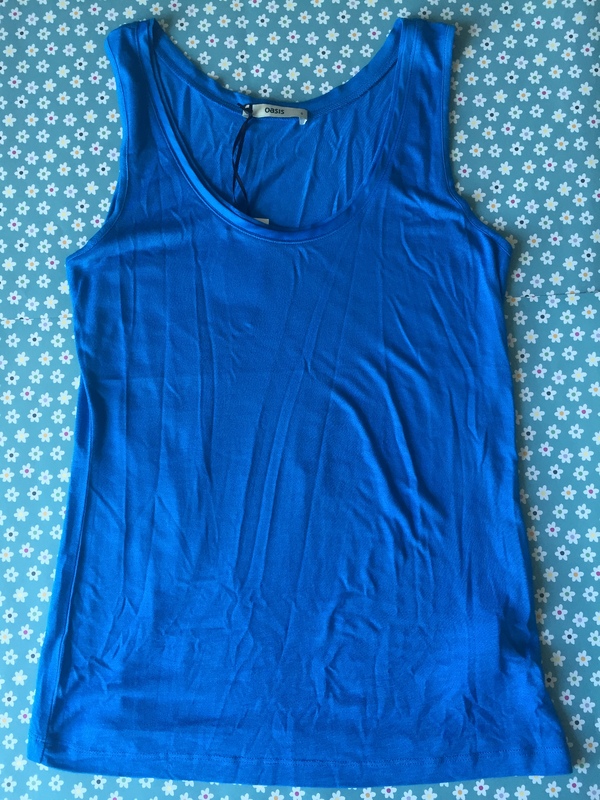 I picked up this royal blue one which is floaty and made with a fine cotton. I like that it has like a ribbon silky trim around the neck to add a little bit of class to it. This was £10 and there are a variety of colours. 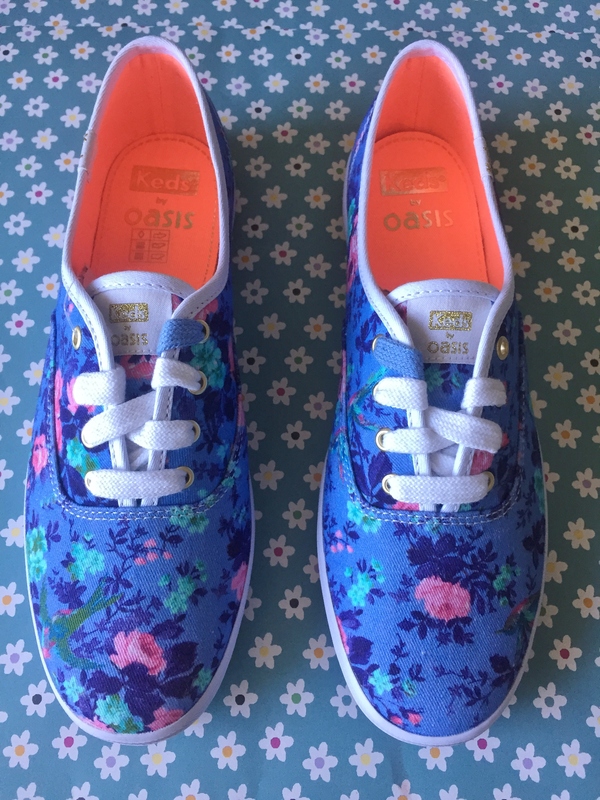 My final item which I love love looooove are these floral Keds sneakers. They are so cute and girly, and insanely comfy! They make a pleasant change to the usual Converse shoe and if a shoe could sum up Summer, then this would be the perfect pair to do just that. Oasis have a variety of styles both with and without laces. Next on my “must have” list are the navy/white stripped ones. These were £45 and with my 20% savings, these were pretty much “free”. Let me know your thoughts on this post. Have you recently purchased anything from Oasis as I would love to hear what you selected. Also, are there any other stores that you would recommend or are your favourites? Love the sneakers!! Happy Holiday! I love Warehouse and River Island.. And your shoes are so cute! I am loving the shoes. Oh I love the dress and the sneakers, especially. 🙂 Enjoy the holiday! Oooooo! Such amazing and perfect additions to your spring/summer wardrobe. 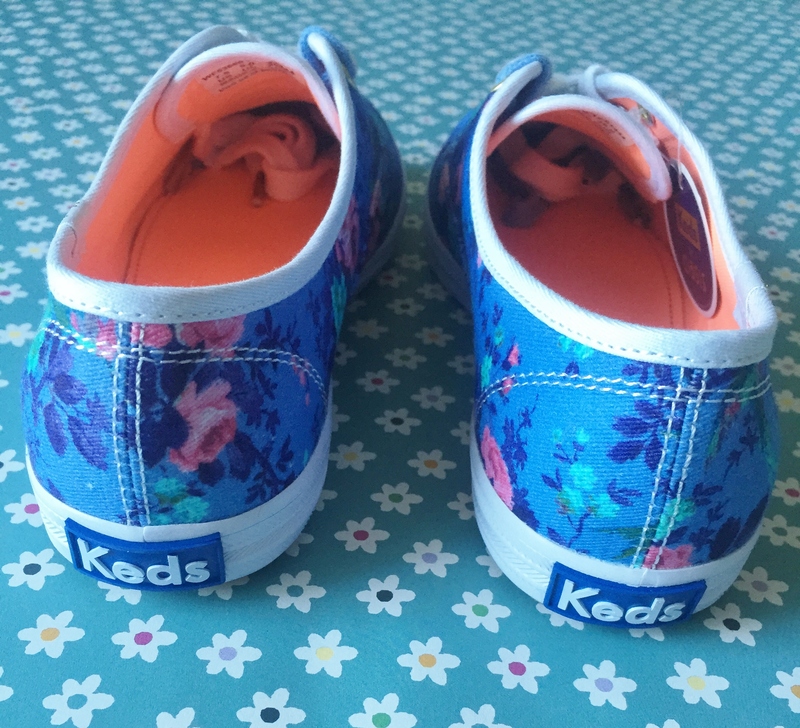 I cannot get over how fabulous and stunning those Keds are! I most definitely need to snag a similar or the same pair. Overall, lovely post girly! ← The Secret To Clear Skin?? Charcoal! !